It’s do or die time right now at The Chongqing Major as the playoffs action heads on over to the lower brackets as eight teams will battle it out with their very tournament lives on the line. Because of the skill and talent discrepancy between the teams who started out at the upper brackets and the lower brackets, all four matches tomorrow are as lopsided as can get. But, while none of the underdogs should be favoured to emerge victorious tomorrow, one matchup in particular is well worth watching. 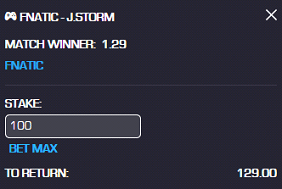 The clash between J.Storm and Fnatic should be a lot closer than the odds say. J.Storm, for a team who’s just starting to come its own, has a lot of experience on its roster. With TI5 winner Clinton “Fear” Loomis in the fold, this is a team that easily won’t buckle under pressure. Unfortunately, we’re done with the best-of-one matches already, and so far, this team has not shown a great ability to adjust in between matches, giving the favourites, Fnatic, an overwhelming advantage. Easily the superior team of the two, the only way Fnatic loses tomorrow is if they play as complacently as they did when they faced off against EHOME earlier today. With two of the best ganking supports in the tournament on their roster in Djardel “DJ” Mampusti and Anucha “Jabz” Jirawong – DJ makes an average of 16.71 assists a game (2nd) and just 4.00 deaths – Fnatic should easily be able to snuff out any hopes of J.Storm taking the series and pulling off the upset tomorrow. For those willing to risk, J.Storm should have a fair chance of at least taking one game off of Fnatic. But, overall, Fnatic should have this series in the bag.